Refurbishment of a 10 Ton Mitsubishi Crane to include Man-Riding function, to supply and install a new electric HPU and to refurbish the crane’s Slew Post / Turret. 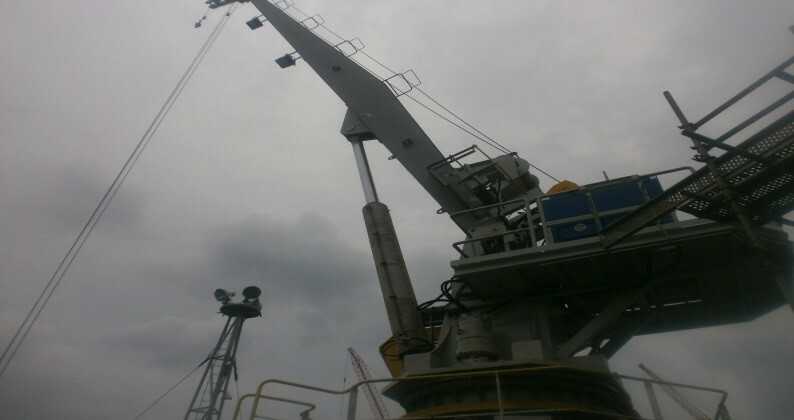 A Provision Crane on board a vessel, the Mitsubishi Hose Handling Crane was originally designed to be a 10 Ton crane, for handling hose. 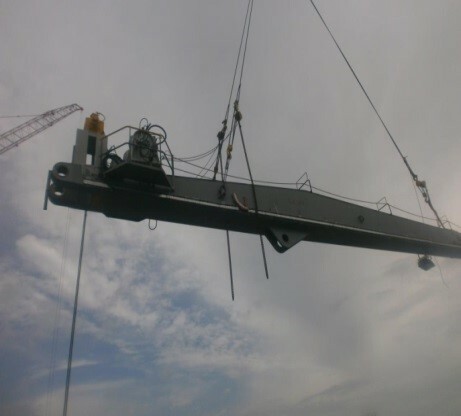 The crane had a boom which was 22.4 meters long. The owner of the vessel was contracted to convert and deliver the vessel as an FSO to an offshore oil company. As part of the requirements, they needed a man riding crane on board for personnel transfer. 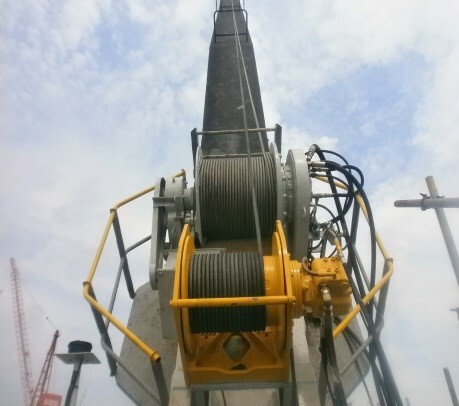 Rabutec was contracted to retrofit the crane such that man riding capabilities can be achieved as well as supply a new independent HPU. 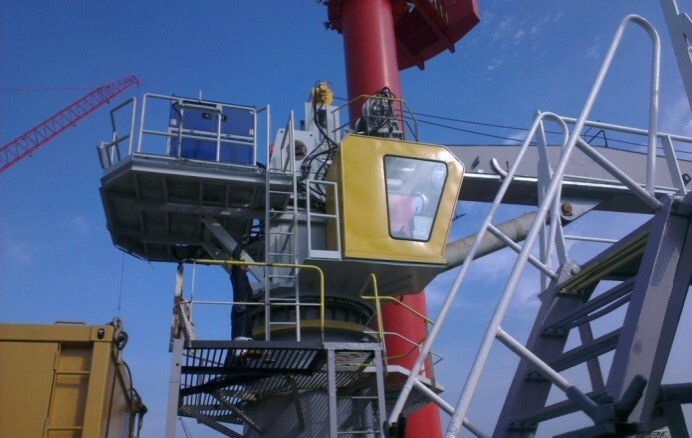 To design, fabricate and install HPU deck, fly jib, winch base and operator cabin extension. 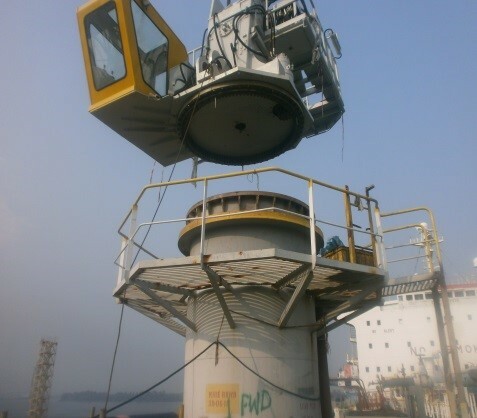 The works on the crane was carried out in accordance to API 2C and ABS guidelines for lifting equipment. The works was completed within 2 months. 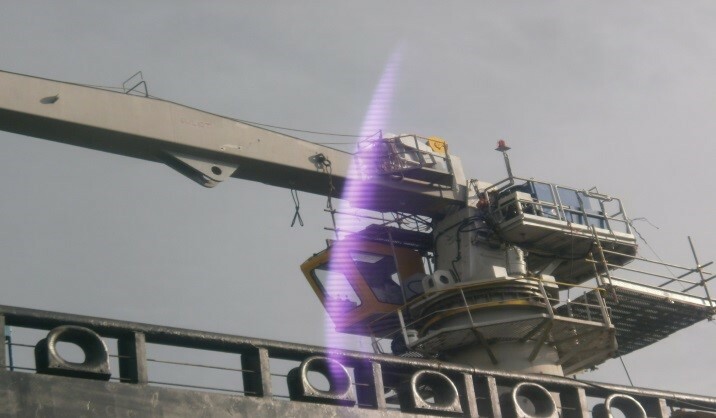 The crane was successfully load tested in the presence of Bureau Veritas.